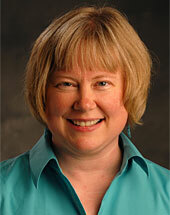 Mary Hess joined the Luther Seminary faculty in July of 2000. Hess received her B.A. degree in American Studies in 1985 from Yale University in New Haven, Conn. She received her M.T.S. degree in 1992 from Harvard University in Cambridge, Mass. In 1998, she received her Ph.D. in religion and education from Boston College in Chestnut Hill, Mass.